Rocky Mountain Wild will host the third Colorado Endangered Species Week, May 12-18, 2019, with the national Endangered Species Day occurring on May 17 and Colorado Public Lands Day occurring on May 18. During this week, Rocky Mountain Wild and our partners will be organizing speakers, fundraisers, and other activities along the Front Range, with major events occurring in Boulder and Denver. Last year, Governor Hickenlooper made an official declaration of the week as Colorado Endangered Species Week 2018 and we hope that Governor Polis will do the same! Not in the area? Find an Endangered Species Week event near you. We are excited to announce that this year, there will be a Colorado Endangered Species Week art piece from our artist sponsor, Julie Kitzes! Julie will design a tee shirt featuring a Colorado species (no spoilers) that will be available for purchase during Colorado Endangered Species Week! Julie aims to inspire and educate others about the captivating world around us: whether adorable kittens or the anatomy of a parasite that might live within the kittens. She utilizes vibrant colors and a blend of realism and stylization to capture a detailed and accurate depiction of a subject while utilizing creative license and artistic sensibility. When she’s not creating art, Julie enjoys exploring the landscapes of Colorado with her husband Peter; collecting flowers, gems, feathers, bones, and remnants for her curio of scientific reference and inspiration. She actively volunteers for the Denver Museum of Nature and Science in their zoology laboratory where she dissects and preserves specimens for environmental research studies and the museum’s collections. We are so happy to have Julie as our artist sponsor for the week and can’t wait to see the art! Visit her website or Instagram page to get a feel for her work. Christine Avena, RMW and 100 Women for the Wild member and bat biologist, will lead us on a bat hike. Christine studies the White Nose Syndrome disease in bats and just completed her PhD at CU Boulder. Christine will start the evening with a chat about bat ecology and behavior, followed by a short hike at dusk to watch the bats as they get active! The trailhead is located close to street parking – since it’s a school night, you may come and go as you please. Participants have the opportunity to go home with their own bat house for a small donation while supplies last! Registration: Tickets are free for 100 Women for the Wild members and $10 for non-members. Register to save your spot. Are you ready to #RunWild? Lace up your running shoes and join us in the Colfax Marathon as we raise awareness and funds for Rocky Mountain Wild! This year, our goal is to raise $2,000 to support paid summer internships for our 100 Women for the Wild program. These internships provide emerging female leaders in the STEM fields with valuable experience in field biology, GIS, volunteer management, and communication. Together, we can keep breaking down gender barriers in the sciences. For more information or to register, visit Colfax Marathon. When you register, make sure to pick Rocky Mountain Wild as your Charity Partner! We will send you a welcome email with directions on how to fundraise for us. We promise to make it easy. If you would like to suggest an event or partner with us to put one on, contact Chris. Events must have tie-ins to endangered, threatened, or otherwise imperiled species. 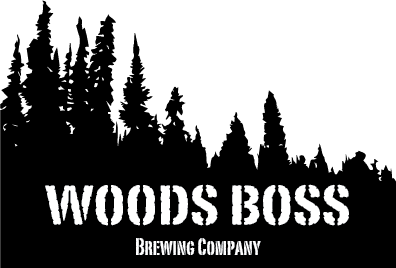 Jim Morris Environmental & Wildlife T-Shirt Co. Please take a look at our Colorado Endangered Species Week Sponsorship Packet and contact Chris if you are interested in joining us. Learn about endangered species in Colorado. The first step to protecting the endangered species in our region is to learn more about them. Check out CNN’s interactive overview of the extinction crisis. Visit a national wildlife refuge, park, or other public land. These places are awesome to visit and provide habitat to many native wildlife, including endangered species. Biologists have determined that the best way to protect endangered species is to protect where they live. You can volunteer at a wildlife refuge and advocate for their protection. Native plants provide food and shelter for wildlife. This is especially important for pollinators. Consider planting native plants that pollinators love. Learn more about native plants that you can provide to pollinators this year. Watch for critters crossing the road. One of the biggest obstacles to wildlife living near development is roads. When you’re out, make sure to watch for wildlife crossing. And consider supporting the I-70 Wildlife Bridge project. Send a letter to the editor of your local newspaper to voice your support of the Endangered Species Act. Talk to your Congresspeople about protecting endangered species. One of the most effective ways you can help protect the endangered and threatened species in your region is to meet in-person with congressional staff. 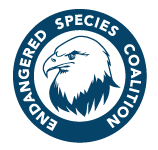 Check out the Endangered Species Coalition How to Advocate Toolbox and consider scheduling a meeting with your congressperson. Division Street, Eric Bendick. Roads are the largest human artifact on the planet; they have fragmented wild landscapes and the wildlife that lives within them, ushered in the “age of urban sprawl,” and challenged our sense of community. As the transportation crisis grows, a new generation of ecologists, engineers, planners, and citizens are working to transform the future of the American road. Forever Wild, First Light Films. Forever Wild celebrates America’s commitment to wilderness and preservation. Shot in high definition, the film captures the glory of undeveloped, wild places through visually stunning images. It also profiles America’s modern wilderness heroes – individuals who have volunteered countless hours and immeasurable energy to ensure that these wild places remain forever wild. Last Call, Enrico Cerasuolo and Massimo Arvat. Last Call provides a high-level examination of one of the most fundamental environmental questions of our time – are there limits to growth? Supported by archival footage and other materials, Last Call provides provocative insights into the fundamental reasons behind the ongoing global ecological and economic crises, and what it will take to ensure a more hopeful future. Last Chance to Dance, Back of Beyond Media. The Gunnison sage-grouse is a threatened species in the American West. Featuring an artist collaboration of Denver artists as well as international guests, this short, quirky piece about the sage-grouse and the need for conservation of its habitat highlights the love and commitment of the arts community to tell a story that will make you laugh, inspire, inform, dream. Lords of Nature: Life in a Land of Great Predators, Green Fire Productions. For centuries, humans have feared wolves, cougars and other top predators, driving them to the edge of extinction in our wildlands and prairies. But in recent years, scientists are learning that top predators play a vital role in maintaining healthy ecosystems, a critical reminder of the importance of preserving biodiversity. Love Thy Earth, Sylvie Rokab. Traversing the globe, the film celebrates the dazzling natural spectacles of our planet, while also revealing how a deeper connection with nature can transform each of us and inspire us to restore endangered ecosystems, as well as the human family. Mother: Caring for 7 Billion, Christophe Fauchere and Joyce Johnson. Since the 1960’s world population has nearly doubled and now tops 7 billion. Population growth, though little discussed, is putting an unprecedented burden on the planet’s life systems. Mother: Caring for 7 Billion brings to light the connection between overpopulation and our most pressing environmental and humanitarian problems, as well as the solutions. Seasons, Music Box Films. With its exceptional footage of animals in the wild, Seasons is the awe-inspiring and thought-provoking tale of the long and tumultuous shared history that inextricably binds humankind with the natural world. The Great Squeeze: Surviving the Human Project, Christophe Fauchere. Life on planet Earth is at a crossroads, with multiple environmental crises bearing down upon us simultaneously: climate change, resource depletion, oil supply decline, ocean pollution, overpopulation, species extinction, and more. The Great Squeeze inventories and connects all of them, showing how short-sighted human behavior and decisions have resulted in a situation that threatens our lives and planet. Badluck Way: A Year on the Ragged Edge of the West, Bryce Andrews. In this gripping memoir of a young man, a wolf, their parallel lives and ultimate collision, Bryce Andrews describes life on the remote, windswept Sun Ranch in southwest Montana. Amazing descriptions of the beauty of wolves and an unflinching look at the hardship of raising cattle in the presence of predators. Countdown: Our Last, Best Hope for a Future on Earth, Alan Weisman. For this long awaited follow-up book, Weisman traveled to more than 20 countries to ask what experts agreed were probably the most important questions on Earth – and also the hardest: How many humans can the planet hold without capsizing? Dodging Extinction: Power, Food, Money, and the Future of Life on Earth, Anthony Barnofsky. Paleobiologist Barnofsky weaves together evidence from the deep past and the present to alert us to the looming Sixth Mass Extinction and to offer a practical, hopeful plan for avoiding it. Drawdown: The Most Comprehensive Plan Ever Proposed to Reverse Global Warming, Paul Hawken. Our organization did not make or devise the plan—we found the plan because it already exists. We gathered a qualified and diverse group of researchers from around the world to identify, research, and model the 100 most substantive, existing solutions to address climate change. What was uncovered is a path forward that can roll back global warming within thirty years. It shows that humanity has the means at hand. Nothing new needs to be invented. The solutions are in place and in action. Finding Beauty in a Broken World, Terry Tempest Williams. In her compassionate meditation on how nature and humans both collide and connect, Williams affirms a reverence for all life, and constructs a narrative of hopeful acts, taking that which is broken and creating something whole. Includes pages and pages of observations of Utah prairie dogs on the brink of extinction. Half-Earth: Our Planet’s Fight for Life, E.O. Wilson. In order to stave off the mass extinction of species, including our own, we must move swiftly to preserve the biodiversity of our planet, says Wilson in his most impassioned book to date. Half-Earth argues that the situation facing us is too large to be solved piecemeal and proposes a solution commensurate with the magnitude of the problem: dedicate fully half the surface of the Earth to nature. Last Chance to See, Douglas Adams and Mark Carwardine. Join bestselling author Douglas Adams and zooligist Mark Carwardine as they take off around the world in search of exotic endangered creatures. Hilarious and poignant – as only Douglas Adams can be – Last Chance to See is an entertaining and arresting odyssey through the Earth’s magnificent wildlife galaxy. Listed: Dispatches from America’s Endangered Species Act, Joe Roman. The first listed species to make headlines after the Endangered Species Act was passed in 1973 was the snail darter, a three-inch fish that stood in the way of a massive dam on the Little Tennessee River. When the Supreme Court sided with the darter, Congress changed the rules. The dam was built, the river stopped flowing, and the snail darter went extinct on the Little Tennessee, though it survived in other waterways. A young Al Gore voted for the dam; freshman congressman Newt Gingrich voted for the fish. Man Swarm, Dave Foreman. Overpopulation is real. Now at over seven billion and counting, renowned visionary conservationist and global thinker, Dave Foreman, helps us understand that only by stabilizing and reducing human population can we stop wrecking our home – Earth. Open Season (A Joe Pickett Novel), C. J. Box. A murder mystery where the murder is investigated by a game warden in rural Wyoming and an endangered species plays a starring role. Rare: Portraits on America’s Endangered Species, Joel Sartore. When a few of these photographs first appeared in the National Geographic magazine January 2009 issue, they were hailed as an arresting reminder of the hundreds of species teetering on the brink of final extinction—more than 1,200 animals and plants in all. Now, in Rare, Joel Sartore and National Geographic present 80 iconic images, representing a lifelong commitment to the natural world and a three-year investigation into the Endangered Species Act and the creatures it exists to protect. Rewilding the World: Dispatches from the Conservation Revolution, Caroline Fraser. If environmental destruction continues at its current rate, a third of all plants and animals could disappear by 2050-along with earth’s life-support ecosystems, which provide food, water, medicine, and natural defenses against climate change. Now Caroline Fraser offers the first definitive account of a visionary crusade to confront this crisis: rewilding. Breathtaking in scope and ambition, rewilding aims to save species by restoring habitats, reviving migration corridors, and brokering peace between people and predators. The Annihilation of Nature: Human Extinction of Birds and Mammals, Gerardo Ceballos, Anne Ehrlich, and Paul Ehrlich. Nature is being annihilated, not only because of the human population explosion, but also as a result of massive commercial endeavors and public apathy. Despite the well-intentioned work of conservation organizations and governments, the authors warn us that not enough is being done and time is short for the most vulnerable of the world’s wild birds and mammals. The Future of Life, E.O. Wilson. In this, his most personal and timely book to date, he assesses the precarious state of our environment, examining the mass extinctions occurring in our time and the natural treasures we are about to lose forever. Yet, rather than eschewing doomsday prophesies, he spells out a specific plan to save our world while there is still time. His vision is a hopeful one, as economically sound as it is environmentally necessary. Eloquent, practical and wise, this book should be read and studied by anyone concerned with the fate of the natural world. The Once and Future World: Nature As It Was, As It Is, As It Could Be, J.B. MacKinnon. In three beautifully drawn parts, MacKinnon revisits a globe exuberant with life, where lions roam North American and 20 times more whales swim in the sea. He traces how humans destroyed that reality, out of rapaciousness, yes, but also through a great forgetting. The Sixth Extinction: An Unnatural History, Elizabeth Kolbert. Scientists around the world are currently monitoring the sixth extinction, predicted to be the most devastating extinction event since the asteroid impact that wiped out the dinosaurs. The time around, the cataclysm is us. Where the Wild Things Were: Life, Death, and Ecological Wreckage in a Land of Vanishing Predators, William Stolzenburg. For years, predators like snow leopards and white-tipped sharks have been disappearing from the top of the food chain, largely as a result of human action. Science journalist Will Stolzenburg reveals why and how their absence upsets the delicate balance of the world’s environment. Witness: Endangered Species of North America, David Piittschwager and Susan Middleton. Startlingly beautiful in its content and powerfully eloquent in its message, Witness captures 100 species of North American animals and plants on the brink of extinction in a series of stunning color and duotone portraits.